This premium, grain free recipe will allow your dog to be at their best, today and every day. Crafted without any corn, wheat, or soy and with a tailored blend of wholesome fibre and natural prebiotics to support healthy digestion. 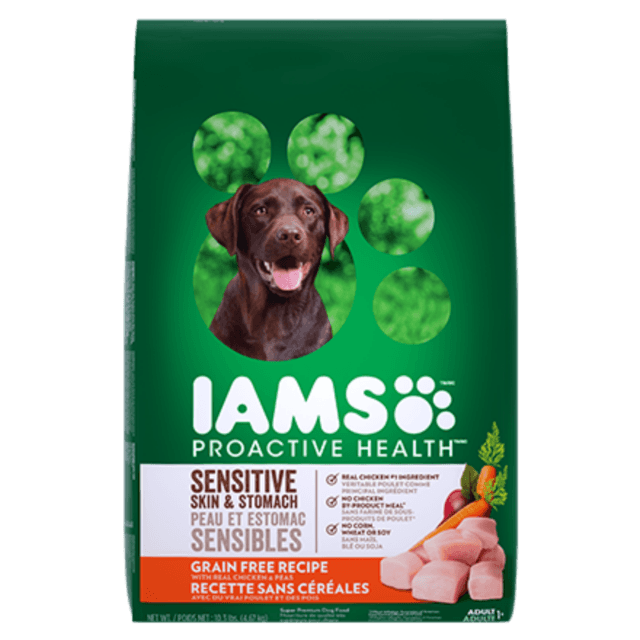 Tailored blend of wholesome fibre & natural prebiotics for healthy digestion. Supports strong, firm muscles with protein sourced from chicken and egg. These guideline amounts are a starting point and your dog may need more food depending upon age, activity and temperament. In order to reach optimal body condition, you may need to adjust food intake. This represents the total recommended volume of food per day. You should divide the total recommended feeding amount by the number of times you feed your dog per day to get the actual portion size per feeding. • Remember to have clean, fresh water available for your dog at all times. 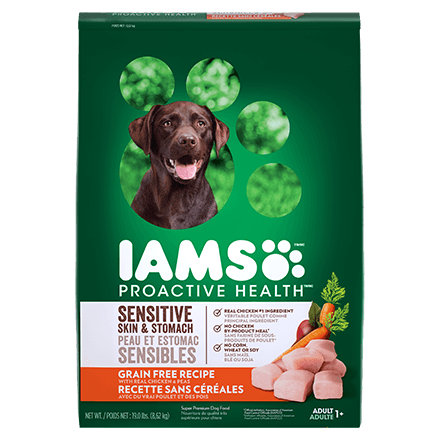 • Because IAMS PROACTIVE HEALTH Grain Free Recipe Dog Food is complete and balanced for adult dogs, you do not need to add vitamin or mineral supplements. 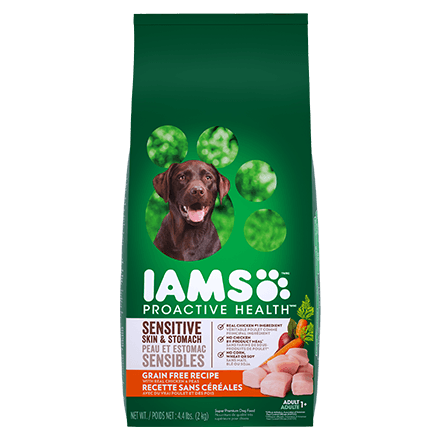 • When introducing IAMS Dog Food, gradually mix it with your dog's current food over the course of 4 days.